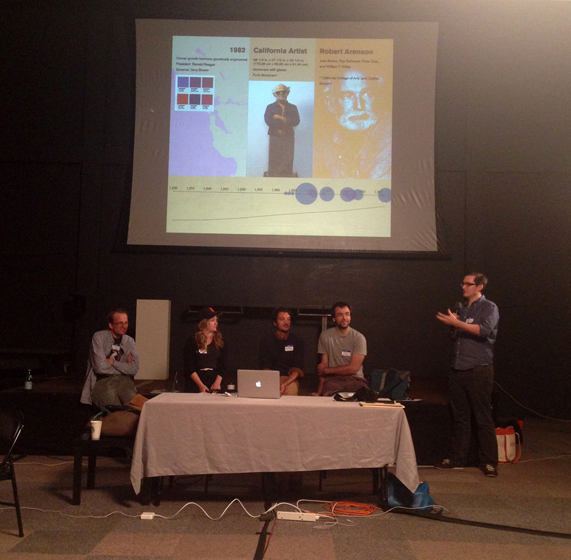 On October 30, 2014, SFMOMA and Stamen Design hosted Art + Data Day at the new Gray Area Art and Technology Theater in San Francisco. 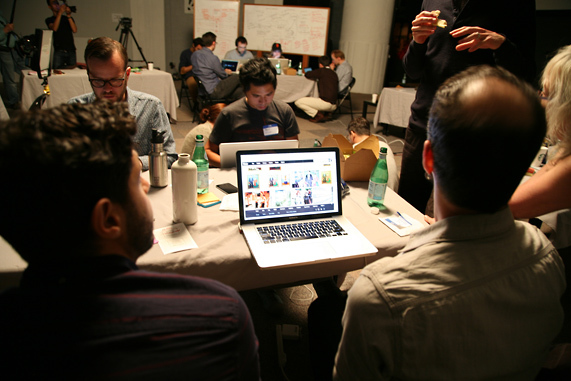 The event was formatted as an “unhackathon,” focusing on collaboration and problem solving — rather than competition and speed — as a way of testing an alpha version of SFMOMA’s new API. 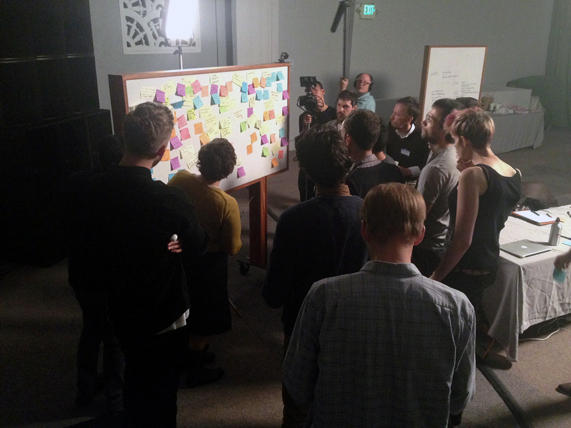 Creative technologists and data artists from Stamen and elsewhere in the Bay Area joined SFMOMA designers, content specialists, and technical staffers to brainstorm ways to interrogate the API, an interface to the SFMOMA collection metadata. At its most basic, the API allows programmers to access images and information about works by a particular artist, collection items matching terms such as “photography,” or works from a particular date range. But Art + Data Day was an opportunity for participants to think outside the box and ask questions like: “What does photography from the seventies look like?” or “Can an artwork take a selfie?” or “Do external contexts, like annual rainfall, influence the creation of an artwork?” This kind of inventive approach to information gathering can be used to provide additional narratives, access points, and interpretation around art and artists in SFMOMA’s collection. SFMOMA Lab, an interdepartmental research group at SFMOMA, and Stamen designed Art + Data Day with the aim of eliciting bright ideas and hard questions about the utility and the potential of the API. By opening up the API and working with the communities that will use it, SFMOMA hoped to garner valuable information about what the API can do and how to improve its development in the future. Typically, participatory design events like Art + Data Day bring together people from a wide range of professional backgrounds, skill sets, and institutions. These collaborative events carve out a solid chunk of informal time for collective problem solving, exploring new ideas, and building something using available skills and technologies. 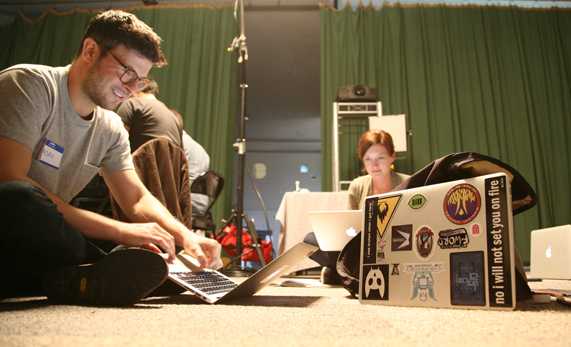 Hackathons, by contrast, are generally organized by a sponsoring company that invites programmers to congregate and work on a particular topic. They are usually competitive, with the winning team receiving a monetary prize. SFMOMA rejected this format, which rewards speedy coding over effective problem solving, and instead created a noncompetitive environment that freed up room for idea sharing and learning. Art + Data Day brought together twenty-three designers, technologists, content specialists, and museum professionals and resulted in four interesting prototypes that explored different facets of SFMOMA’s collection using the API. 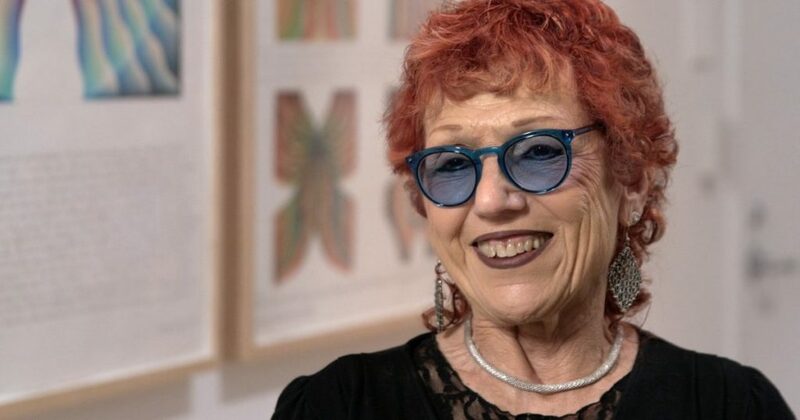 Additionally, SFMOMA believes in cultivating artistic innovation and its local community, so all external participants were provided an honorarium for their time and expertise. SFMOMA and Stamen enlisted Chacha Sikes to facilitate the day’s proceedings. Sikes’s approach to facilitation derives from her own participation in and organization of hackathons, un-conferences, participatory design workshops, data camps, project-based learning, and open-source code summits and sprints. All of these event formats gather people to collaborate on technical projects or to vet data — and all are optimized to allow free space to build together. The primary value of these events lies in rich idea fabrication and networking not usually possible in a normal work environment. These one-day events produce working prototypes, and often result in new working relationships. In addition, they boost domain and technical knowledge of a problem space, and give a new community a shared language to address the problem in the future. 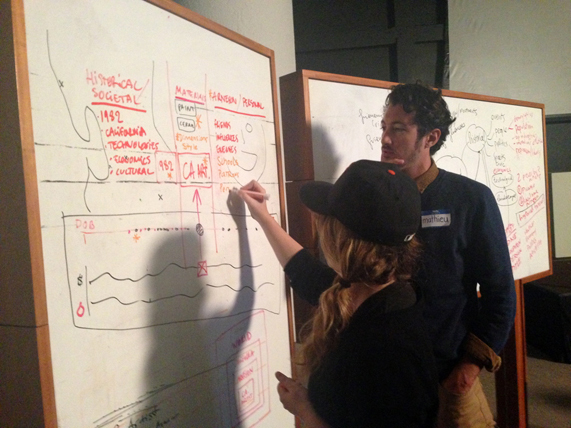 Organizing a collaborative design event entails considerable preparation. The success of Art + Data Day relied first and foremost upon the efficacy of the API, which had to be developed to a point at which event participants could access the data easily and creatively. Throughout the development process, SFMOMA and Stamen remained in frequent communication, hashing out bugs and exploring research questions. Expectations were established about what questions the institution wanted to ask of the API — and these were necessarily open-ended questions, because collaborative design events are intended to produce discovery rather than deliverables. Inviting participants from diverse technical and professional backgrounds is important, as they open up new avenues of discussion and discovery. For institutions, this includes inviting staff members from various departments who might not otherwise have the opportunity to collaborate, such as SFMOMA’s Design and Collection Information teams. Convening the group in a new environment fosters a sense of adventure and exploration, and, equally importantly, removes the distraction of the workplace. For Art + Data Day, SFMOMA partnered with the recently renovated Gray Area Art and Technology Theater, a Mission District venue specializing in hosting events at the intersection of art and technology. Placing the day’s topics for investigation in context provides participants with the framework necessary to hone the focus of their projects. Representatives from SFMOMA discussed the decision to make a publicly accessible API, while representatives from Stamen shared the projects they had created using the API and what they had learned. Finally, Matthew Hrudka, SFMOMA’s design technologist (and the developer behind the API), presented an overview of its technical features. Facilitating an exercise that introduces participants and their ideas paves the way for quicker and more efficient team work. 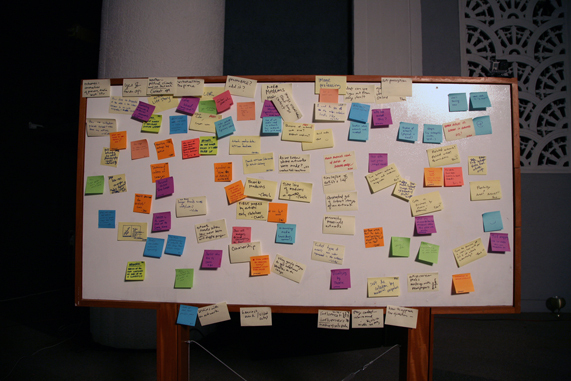 The participants were invited to write down project ideas, questions, and technical interests on sticky notes. This mind-mapping exercise served as a great icebreaker and provided a snapshot of the group’s collective mindset. The sticky notes from the mind-mapping exercise were then posted on a whiteboard and analyzed based on common themes and interests. This process generated a rich discussion and new ideas derived from the original thinking brought in by participants. During this process, dozens of ideas were discussed, and a number of common themes emerged. What can be understood from the image itself? This “sticky note snapshot” provided a basis for common understanding of the domain on that day, with that group of people. This is an implicit form of “voting” that gives voice to everyone in the group and surfaces commonalities in their thinking. As participants looked at the sticky notes and discussed the themes, they began to form ideas for concrete projects they wanted to explore, and groups interested in the same topic began to form. Once these teams were formed, each chose a team name and began to build out their concept. Team #Selfie explored how images taken by museum visitors could provide new information about the relationships people have to an artwork and how it’s perceived. Team Context investigated how the SFMOMA API might be paired with external data sets to deliver related content that would provide greater context about artworks and artists. Team PixelMasher thought about what could be learned from the visual context and pixels within the images represented in the collection. 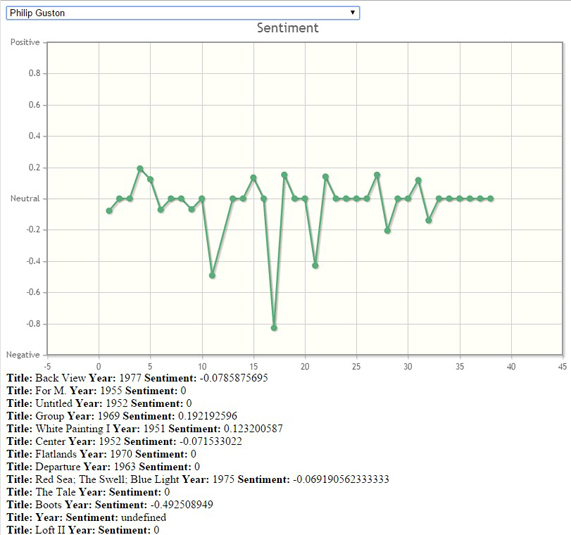 And remotely, John Higgins, SFMOMA’s information architect, submitted a project that inquired whether artwork titles convey a specific emotion, revealing the sentiment of an artist across all of his or her works contained in SFMOMA’s collection over time. Over the next few hours, the teams researched and developed their projects in preparation for final presentations. Based on the time allotted, the groups scaled their projects appropriately. Participants were given a blank slate of expectation, in that they could produce a working prototype if they wanted, or (of equal value) think, mind map, and research what they might want to do and how they would proceed if given more time and resources. Throughout the day, all teams checked in with the overall group and periodically consulted with content specialists from SFMOMA. The act of describing their project to audiences or mentors helped the teams formulate their ideas in narrative form. At the end of the day, the teams gave their final presentations to the group, which at that point included some experts, who provided additional feedback and asked deeper questions. Since public sharing is a focus of the API project, open source code and documentation were a requirement for Art + Data Day. 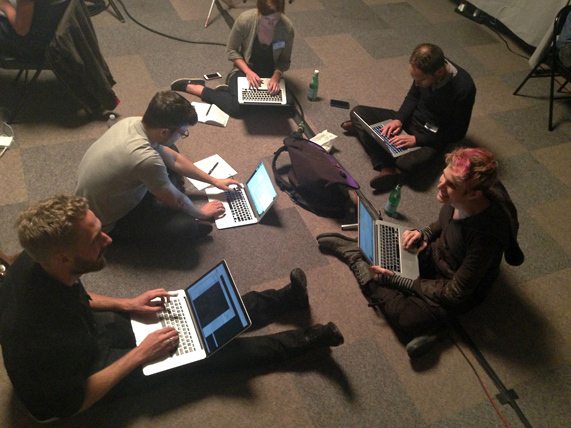 To that end, all code created during the event has been posted to GitHub. Additionally, all of the projects will be summarized and published on this page in the coming weeks. By sharing the outcomes of Art + Data Day, it is our hope that others will pick up where we left off with the API, and move SFMOMA forward toward greater understanding of its collection and the world in which it was created. Chacha Sikes is a programmer, civic experience designer, and community organizer. She is passionate about maps, icons, hackathon design, and community science. An open data advocate, Sikes works to bridge technology, civic life, and arts and learning with community problem solving, especially where it concerns food or cities. 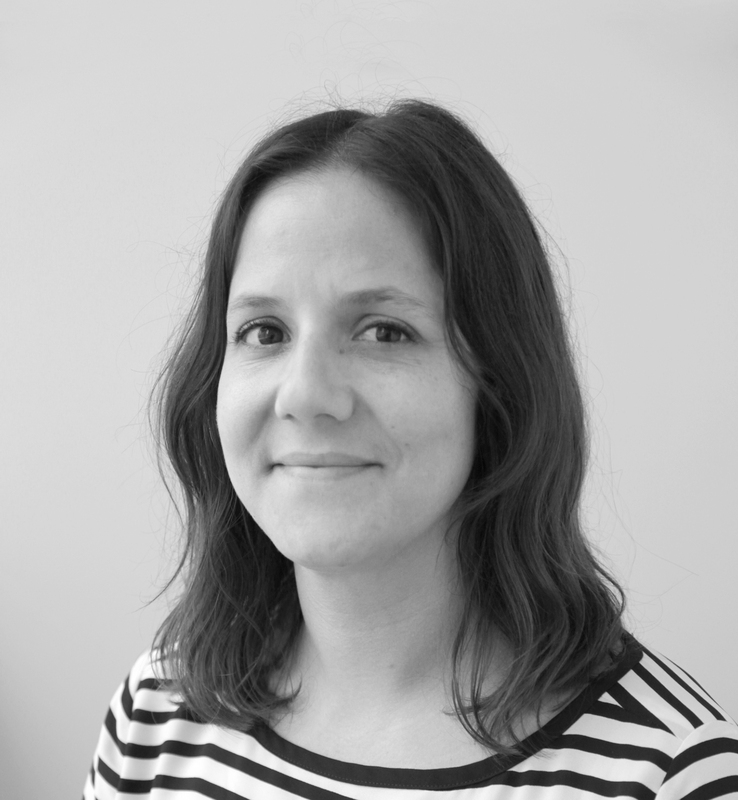 Sarah Bailey Hogarty is the former senior creative strategist at SFMOMA.